A regional meeting attended by the Regional Centre for Mapping of Resources for Development (RCMRD) discussed the availability of up-to-date, accurate and authoritative geographically referenced geospatial information. 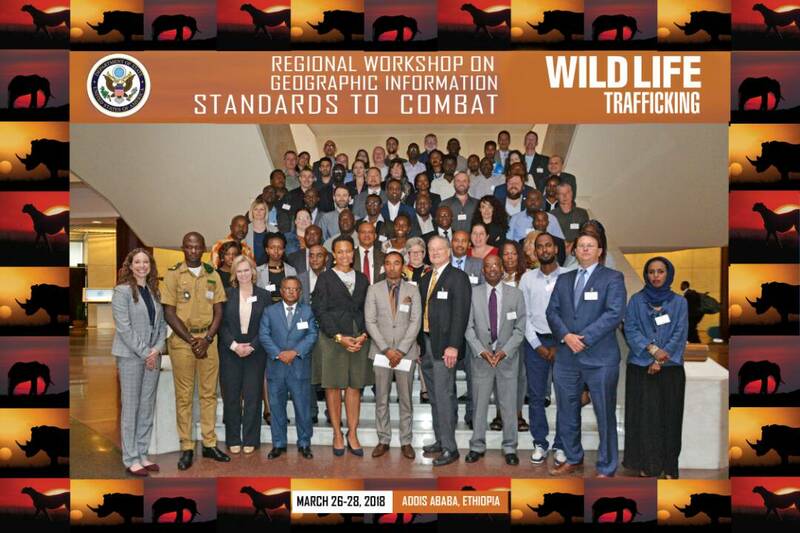 The regional workshop on geographic information standards to Combat Wildlife Trafficking was held in Addis Ababa, Ethiopia, at the UNECA headquarters. RCMRD was represented by Dr Robinson Mugo SERVIR Eastern and Southern Africa (SERVIR-E&SA), Project Manager. The workshop’s objective was to formulate a common language or ‘data dictionary’ for the full range of GIS databases used by the Professionals from 20 countries who attended the conference. Illegal trade of wildlife constitutes theft of national and community resources. The illegal trade also generates an estimated twenty billion dollars a year for transnational organized criminal networks. The impact of these crimes is especially concerning as there is evidence that the proceeds of the illegal wildlife trade are fueling terrorist activities in the African region. The regional workshop stressed the importance of Geospatial Information in combating wildlife trafficking concluding that it is essential to combat illegal wildlife trafficking.